Defense is difficult. You have only a vague idea of what your partner has and he has a vague idea of what you have. Your opponent, on the other hand, knows exactly what he has to work with. It is an unequal struggle. Still, there are some things you can do to help even things up. Asking questions like these can point you in the right direction. How many tricks does declarer have? How many high card points does declarer have? How many high card points does your partner have? All of these questions and the answers to them are useful guides to finding the winning defense. 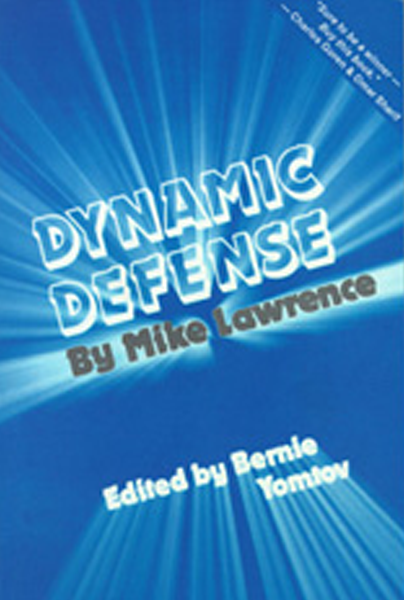 Dynamic Defense takes you through sixty-five bridge problems that start with the bidding and continue until the defense is over. You will see what a good player thinks about on defense options which are not as routine as they may appear.